The Samyutta Nikaya («Connected Discourses») is the third of the five nikayas, or collections, in the Sutta Pitaka, which is one of the «three baskets» that compose the Pali Tipitaka. This nikaya contains 2,889 suttas grouped into five vaggas, or sections. Each vagga is further divided into samyuttas, or chapters, each of which in turn contains a group of suttas on a related topic. Bikkhu Bodhi (trans. 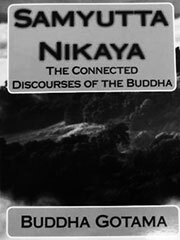 ), The Connected Discourses of the Buddha: A Translation of the Samyutta Nikaya, Somerville: Wisdom Publications. ISBN 0861713311.